Religious and community leaders have united to discuss a joint declaration condemning the unacceptable practice of Female Genital Mutilation (FGM). Representatives from organisations including the International Relief Foundation, FORWARD and the Muslim Women’s Network UK met government ministers during a summit at the Home Office in London. By signing a joint declaration against the practice of FGM, they hope to send a clear message to communities across the UK that the practice is an extreme form of violence against women and girls and is not supported by any religious doctrine. They also stress that it is a human rights violation and can have a life-long impact on survivors’ physical and psychological health. In the UK, FGM is unequivocally a criminal offence and child abuse and the government is committed to ending this extremely harmful practice. The final declaration will be signed by UK representatives of all the world’s major religions during the government’s Girl Summit in July. Hosted by Prime Minister David Cameron, the summit is aimed at mobilising domestic and international efforts to end Female Genital Mutilation (FGM) and Child, Early and Forced Marriage (CEFM) within a generation. 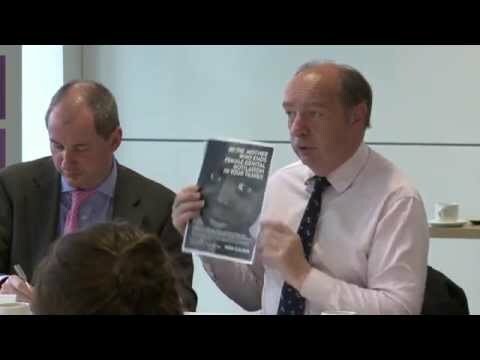 Norman Baker, Minister for Crime Prevention, said: “Female Genital Mutilation is a terrible practice that is not condoned by any religion. “Political or cultural sensitivities must not get in the way of uncovering and stopping this abuse. “The law in this country is clear but we need to win hearts and minds if we are to end FGM. Lynne Featherstone, International Development Minister and Ministerial Champion for Violence Against Women and Girls Overseas, said: “Faith and community leaders are fundamental to the work to end FGM. “They have the power and the influence to bring about change in their communities and communicate the true harm that is caused by this practice. Stephen Williams, Minister for Communities, said: “Female Genital Mutilation is an abhorrent practice that has no place in this country. Shahin Ashraf, Muslim Chaplain and National Network Coordinator for the Muslim Women’s Network UK, said: “The role of religious leaders is imperative in the fight against Female Genital Mutilation. Naana Otoo-Oyortey, Executive Director of FORWARD, said: “FORWARD is very pleased to see the government recognising the importance of community voices in ending the practice of FGM. “We welcome the commitment from various faith and community leaders in condemning FGM, as we know it is not required by any religion. Dr Mohammed Fahim, Chairman and Head Imam at South Woodford Mosque, said: “It is important that communities condemn Female Genital Mutilation, which is not a religious requirement. “It is an evil practice, which destroys the lives of young girls. Prevention is at the heart of the government’s work on FGM in the UK. Ministers want to safeguard and protect all girls and women who may be at risk to avoid the often severe consequences for their physical and mental health. The government wants to empower girls and its vision is to see an end to FGM. At the same time it wants to work to ensure that those girls and women living with the consequences of FGM are given the specialised care and support they need.